UPDATE: Submit your own proposals for the wall here! The Balaur Wall has been featured in an article in the Chronicle of Higher Education! Click here to read about it. 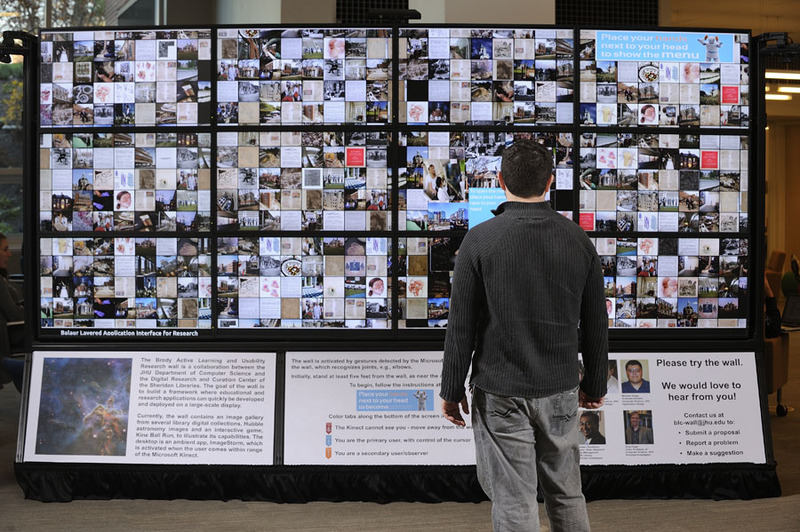 The Balaur Wall is a high resolution, 25 megapixel display system intended for research in multi-user gestural interaction with extremely large imagery or datasets. We are also interested in collaborative art and educational applications. The Balaur Wall is currently installed on the campus of Johns Hopkins University in the new Brody Learning Commons building. Click on About to learn more, or Media to see images and video of the screen in action.